oh to be a fly on the wall! how fun! this picture cracks me up. 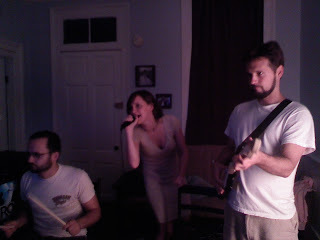 you and rob are concentrating, and ashley is just rockin it out! too funny.